Bal Feirste's next Workshop/Bal will take place …. Dance workshop: 19.00-23.00Free event (donations welcome), no partner nor experience necessary. Dance tuition from 7-730pm, and dancing to live music from 730-11pm. La Fête des Rois, one of our most popular events of the year, will take place in The Dark Horse Café onmercredi 11 janvier 2017. Once again this year, in order not exceed the legal capacity of venue and to ensure that everyone has a good time, we shall be asking folk to register in advance. Watch out for my email giving more information arriving in your inbox soon. Our cercle family gathered at its last meeting to learn about our long-standing member Claudine's ville natale, Bourges. 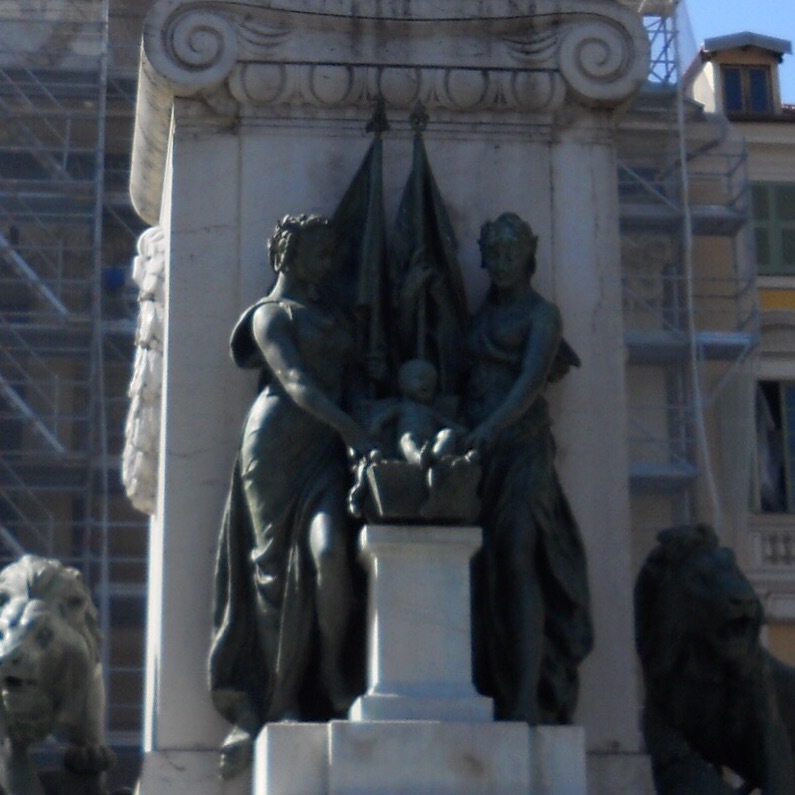 Claudine, a Berryuère by birth, talked about her cradle days in this city in central France where both her grandmothers lived in the same street. Although her family would later move to Blois in the Loire Valley, a theme of one of her earlier talks, she returned to Bourges for the civil celebration of her marriage with husband, Seamus. Then this summer, they both headed back to the city as Claudine felt it was about time to get to know better the place where she was born. 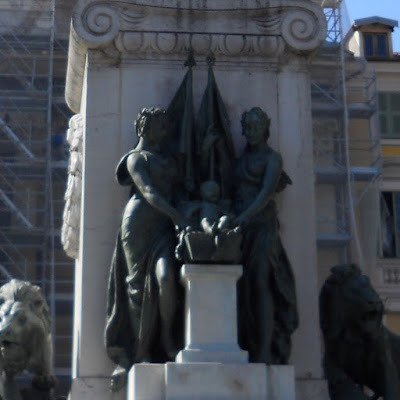 During her talk, Claudine traced the Celtic origins of the city from its beginnings as Avaric in Gaul through the Roman conquest in 52 BC to the establishment of Avaricum, the capitol of Aquitaine Première and eventually becoming a medieval Royal City. She explained how the first Archbishop began construction of churches and Romanesque cathedrals, whose foundations were to remain as important monastic settlements up to the Revolution. A short video presentation around the ramparts of the city led us to Claudine's personal pictures and impressions of the Saint Etienne Cathédrale, built from 1195 to mainly the late-13 century, culminating in the award of Unesco World Heritage site in 1992. In this part of her presentation she picked out several architectural features including the very unusual absence of a transept. Claudine's chronology concentrated on important characters associated with Bourges and included such VIPs as Duc Jean de Berry, Charles VII from the House of Valois and Jacques Cœur. This latter had become Controller of the Royal Purse but fell out of favour with the King who accused him of poisoning his mistress and sentenced him to death. Jacques Cœur avoided execution by escaping to the protection of the Pope but later died in disgrace on the Greek Island of Chios. We were next escorted to the centre of Bourges as Claudine shared with us a selection of views of the 400 odd protected houses in the vicinity of Place Gordaine where several stone and half-timbered houses still stand side-by-side. Other stops en route were the Hotel Cujas, now the Musée de Bourges and the Passage Casse-Cou, a break-neck construction built over a Gallo-Roman wall. As the talk progressed we stepped into Renaissance Bourges and forward as it revealed itself as a City of Culture, attracting students to its university, among them a young Jean Calvin from Picardie. Claudine went on to target the development of Bourges as a military and industrial city in the late-19th century and when considering its more recent past pinpointed two more landmarks, le Château d'eau and the Maison de la Culture, the first in France inaugurated by André Malraux accompanied on the occasion by then Président Général Charles de Gaulle. As an aside Claudine noted that many cultural activities are now managed by private concerns with less use made now of the nationalised Maisons de Culture. Claudine's presentation incorporating elements of son et lumière was ably assisted and managed by her husband, Seamus and as it drew to a close it was soon time to provide a token of appreciation for a carefully researched and affectionate appreciation of this lovely city in Central France. Our président, noting that he himself was an adopted Berrichon having spent his year's assistantship in the Cher department, remarked that his close friend Daniel who lives near Bourges had called on the esteemed local wine maker, Eric Louis to mark the connection between Claudine and the region. an apron from the domaine and a locally available bottle of Eric Louis wine. They both, after all, share the same terroir. Un très grand merci à Claudine et Seamus et nos remerciements aussi à Daniel et au Domaine Éric Louis. Labels: Berrichon, Berryuère, Bourges, Eric Louis, Jacques Cœur, Place Gordaine, Saint Etienne, Thauvenay. Vendredi dernier je viens de retourner de l'île de Ré située en Charente Maritime. Ce qui m'a impressionné le plus c'était le paysage pittoresque et champêtre. Quant aux maisons et petits hôtels, et les façades des petits magasins, ils ressemblent à un film de Jacques Tati et son drôle de personnage M. Hulot.Mais en passant par la petite ville St Martin en Ré pour faire des achats, j'ai vu un grand bâtiment entouré de grandes murailles. Autrefois un site de la légion étrangère française peut-être? Non, en effet la plus grande prison contemporaine en France. Edifié en 1690 comme ouvrage militaire pour protéger l'ile et transformé en dépôt pour le regroupement des prisonniers condamnés aux travaux forcés et destinés à être envoyés aux bagnes.En effet, le capitaine Alfred Dreyfus et Henri Carrière, dit "Papillion" du film de ce titre y étaient emprisonnés avant leur départ pour le bagne. Le voyage à Guyane durait trois mois.Mais ce qui a fait sensation récemment en France c'est le frelon Asiatique qui a envahi trois quarts des Départements français. Arrivé de la Chine dans une livraison de poterie en France, c'est la cause de six morts déjà, aussi menace-t-il la diminution de l'apiculture en France et la plupart de l'Europe. Au mois de mai 2016, il y avait des nouvelles de sa découverte au sud de l'Angleterre dans le Devon. Monsieur Aldo François, apiculteur renommé dans la ville de Loix, ile de Ré, et avec 600 ruches dans son Rucher, m'a invité à regarder ce qu'il fait pour se battre contre cette menace. Avec mes propres yeux j'ai vu ces frelons qui allaient à l'attaque des abeilles. Ils désiraient entrer dans les ruches mais il a mis une grille comme celle qui sert à combattre les souris pour ne pas donner accès à l'entrée des ruches mais permet aux abeilles de partir. Mais néanmoins, les frelons pouvaient décapiter des abeilles en plein vol. Et en mettant deux des frelons sous le microscope je savais comment cela se pouvait. A la pointe extrême sur chaque patte se trouvait une griffe comme celle de l'aigle. Et leur dard, un centimètre de longueur! Ils pouvaient tourner en vol dans une microseconde pour décapiter une abeille pour la ramener à son nid, si carnivore qu'il soit, qui se régale de tous les insectes. J'espère que je peux m'excuser qu'à la fin de mes enquêtes j'ai confié mes deux exemplaires, leur cercueil inclus, aux flammes. This September, in addition to our own first meeting on 14th September, there are are number of events with a French flavour which I'm sure you would like to know about. The Lantern Man, a new play by our own Jane Coyle, is set in Dublin in 1916 and tells the story of Johnny McGrath who returns from the Western Front to a city he barely recognises. When he unexpectedly inherits a collection of glass lantern slides showing images of soldiers in action he decides to use them to tell the public the real story of the war. 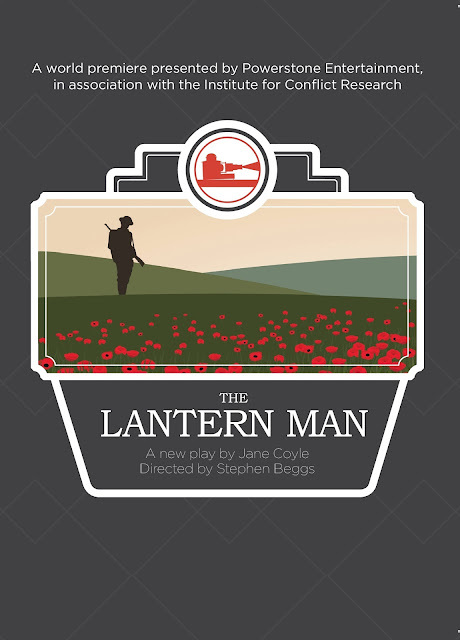 The play was inspired by the discovery in a Belfast church of a collection of World War I lantern slides, known as the Castleton Lanterns. 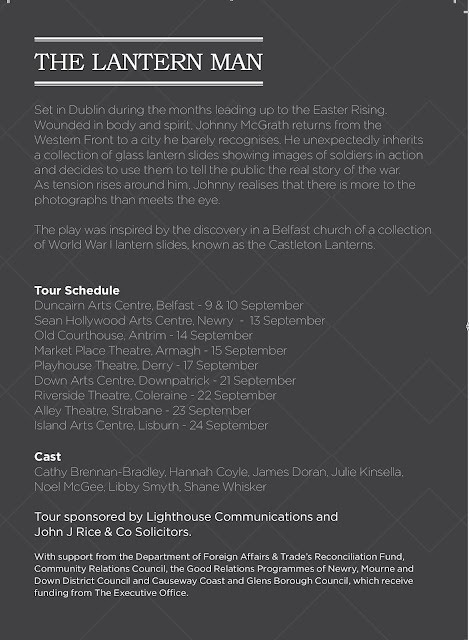 The Lantern Man begins its tour of Northern Ireland with performances in ..
See flyer at this link. Mia Hansen-Løve’s (Eden) fifth feature is a tender, contemplative portrait of womanhood - and an irresistible collaboration between the film-maker and the legendary actor Isabelle Huppert (White Material, Amour). announces he is leaving her for another woman. With a new found freedom suddenly thrust upon her, Nathalie must reinvent herself and establish a new way of living. Featuring a remarkable performance from Huppert, Things to Come is an intelligent, poetic and naturalistic exploration of one woman’s pursuit of happiness. impressionistic romantic thriller. Amalric plays Julien, a married man who runs foul of the law after an affair with a local femme fatale (played by co-writer Stéphanie Cléau). The film is tantalisingly sliced and pieced together through flashbacks, so you catch glimpses of his life unravelling and spiralling out of control. Amalric has crafted a mystery of savage tautness, cutting away all extraneous elements to leave the heart of a story that compellingly teases at the truth. Parisian fairytale starring Audrey Tautou. Heart-swelling cinema at its best. This thrilling update of the popular 1960s TV series, based on the beloved French children’s novel, reintroduces us to brave Sebastian and his faithful canine companion Belle as they set out to find Sebastian’s adoptive mother following the end of World War II. Please note: contains mild bad language. Nice. France declares 3 days of national mourning. While we still have our Assemblée générale on 11th May and our Annual Celebration Dinner on 18th May, April's meeting will be the last talk in the current programme and promises to be a very special event - not to be missed. Julian, a noted ornithologist, takes us under his wing to share his specialist knowledge and enthusiasm for this beautiful region and he’ll be talking about more than just the wildlife. Looking forward to seeing you at the Dark Horse Coffee House on Wednesday evening. 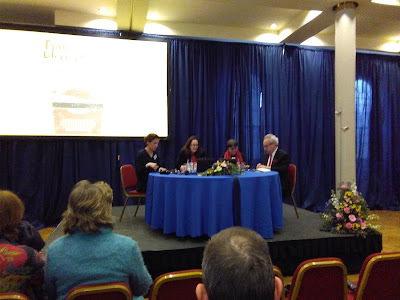 Philip was in Dublin last weekend to attend the 17th Annual Franco-Irish Literary Festival. This year the theme was Food for thought/Les mots à la bouche and 14 writers from France and Ireland reflected on this through a variety of readings, interviews and panel discussions. Philip, who is now a veteran of these gatherings reports that it was another great festival! You can get a "flavour" of proceedings and savour the programme at this link. The main presentation was provided by Philip with Hélène and Claudine voicing the text of letters and other writings from Camille, mostly to Auguste Rodin. John who had recently arrived from Paris for a stay in his native Belfast provided the voice of Rodin. Translations of the French were provided in English on screen. The talk was longer than usual since as Camille herself wrote, "the events of my life would fill more than a novel". It covered the early years of the Claudel family, Camille's formative years and relationship with Rodin. Her creativity was explored through pictures of her sculptures and several reference works had been assembled for browsing. Quite a few participants had brought their own books and DVDs to recommend to colleagues. The talk also charted Camille's troubled times, during which she destroyed many of her works, and her eventual confinement and death in an asylum. However, not wishing to end on such a sad note, Philip talked about growing efforts over the years and particularly in recent times to share her work, noting, for example, a recent exhibition at the Rodin museum. While acknowledging the sadness and isolation of her final years it was comforting to know that her legacy endures and reaches out to new audiences. Thanks Philip, Hélène, Claudine and John for a memorable evening. Our speaker is Anne Taylor, who has led many tours in the footsteps of Joyce and his characters. This amply illustrated talk in English promises to be an informative and entertaining evening for fans of the writer and his work. As usual the Dark Horse Coffee House in the Cathedral Quarter will make its own distinctive contribution by evoking a little of that 1920s Parisian atmosphere. So please come along, bring a friend and by all means share news of the event.